A Chakra is a center of force within the body that is a connection point between metaphysical and biophysical energies. There are seven main chakras starting from the base of the spine through to the crown of the head. These invisible wheels of energy keep us vibrant and healthy. They correspond to different areas of your body and different aspects of your spiritual growth. - Quickly identify which of your Chakras are strongest or weakest. 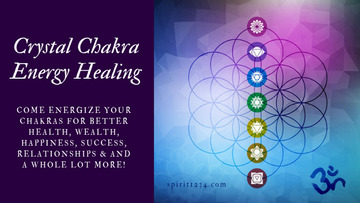 - Clearly see how imbalances in your Chakras may affect prosperity and abundance in your life. - Know which areas of your life to focus on for your best and highest good. We will review each of the seven major chakras and how each chakra can enhance your spiritual understanding of where you may be holding stress or anxiety. From your personal computer, log on to the Zoom link you will receive once you RSVP to this Meetup. Bring your favorite beverage, along with pencil and paper for note taking. Handouts will be provided. All who RSVP will receive your web zoom link and password the day of the call via Meetup email. 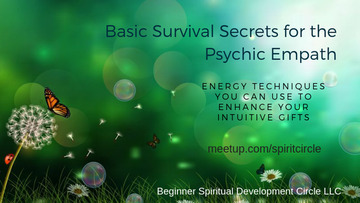 BONUS: Learn the Energy Protection Process and how to close down your chakra energy system for protection before entering toxic environments or large groups. Leave the class knowing how your Chakras can be used as your own energy guide towards your optimal Spiritual Health and Wellness! Have you ever felt overcome with feelings of being trapped, constrained, or unfulfilled? Then this transformational and highly energetic workshop is for you! 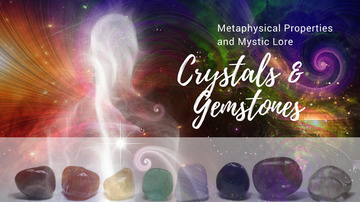 - Learn which crystals are best for attracting money, healing relationships, creating possibilities, and awakening to your spirit guides. 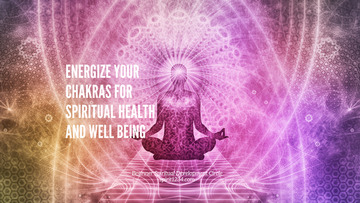 - How to expand and contract your 7 main chakra energy centers. 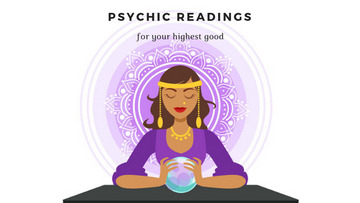 VERY IMPORTANT for those beginning to work with their psychic gifts! - Psychic Medium, John Holland's Protection Process to ground and protect your energy before entering public places or difficult situations. - The Crystal Chakra Energy Healing Process to detect where your energy may be blocked and how to release your intuitive powers. - Special healing techniques that you can use for yourself and others. Throughout the program, Regina will guide you step by step to develop a conscious awareness of the spiritual energies of crystals and how they can help enrich your life and reconnect with your individual soul force. All participants will receive a Crystal Chakra Healing Session. RSVP by May 9th for $195.00 Early Bird Pricing! Note: Please bring your yoga mat and plenty of water for hydration. We will take a lunch break mid day for you to recharge and refuel! DISCLAIMER: Concepts and strategies shared in this and any email communication from Regina Luffey or the Beginner Spiritual Development Circle are ideas that have worked for members of her community, holistic practitioners, health and wellness coaches, mentors, students, and friends. All content is for informational purposes only. Always use your own judgment and get the advice of professionals before partaking in any practice or exercise for your own spiritual health and wellbeing. The Washington Monument, a 555-foot obelisk honoring America’s first president is scheduled to reopen to the public in May of 2019! The Monument has been closed since August 23, 2011, when a 5.8 magnitude earthquake caused significant damage to the structure and forced its closure. We have a simple picnic FIELD TRIP planned for Saturday July 6th to the southwest grounds of the Washington Monument with the hopes of securing several tickets to tour the monument. Please bring a picnic lunch. This field trip has a very light agenda but for a simple day on the Mall, morning meditation, picture taking of ourselves in front of the Monument, and storytelling. Think of your most inspiring Spirit Story to share! Dress comfortably and plan on a day of sunshine and spirit channeling! NOTE: Tickets to tour the Monument are not available for pre-purchase, so this field trip does not guarantee an inside tour of the Washington Monument. However, it is our intention to be able to reach the top and view Washington DC! RSVP by May 22nd for $20 Early Bird Pricing! Or pay $30 at the door. Leave the Meetup with a new found understanding of the Universe and the "science" behind our thoughts and intuitive ability to manifest Prosperity & Abundance! Regina has been a natural mystic and empath all her life and has been able to detect the energy of people, places, and things since the age of 9. 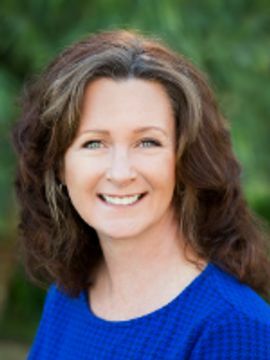 Regina has developed her own intuitive gifts and healing modalities while studying with many Holistic Practitioners, Spiritual Healers, Psychic Mediums, Coaches, Authors, and Speakers. Regina now practices as a Certified Business Coach, Teacher & Mystic at Journey's Holistic Therapy Group in Charlotte Hall, MD and the Sacred Circle Book Store in Alexandria, VA.
2019-05-23: CHARLOTTE HALL, MD: Discover What Life Has In Store For You through Numerology! Join us at Journey's Holistic Therapy Group for this fun and informative Meetup on Numerology. What career is best for me? The answers to these and many other questions are in your numbers. Through the Science of Numerology you can take control of your life using this ancient science! Using just your name and a date of birth, participants will learn the key to discovering who they - and their loved ones - really are. - BONUS: For singles, learn how to find your Perfect Mate! From our homes to our businesses, the towns we live in to our pets, numbers are all around us. Knowledge is power, and the answers are in your reach! RSVP by May 14th for $20.00 Early Bird Pricing!